Jean Nouvel. 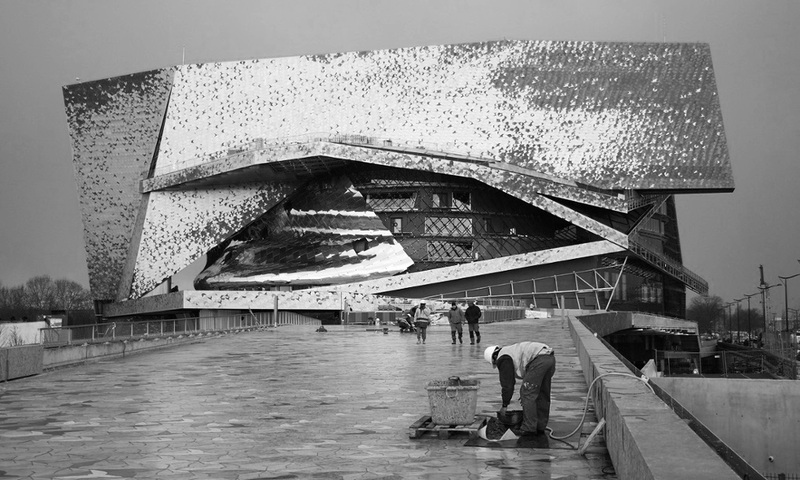 Philharmonie de Paris. From >The Charnel-House. Étienne-Louis Boullée. 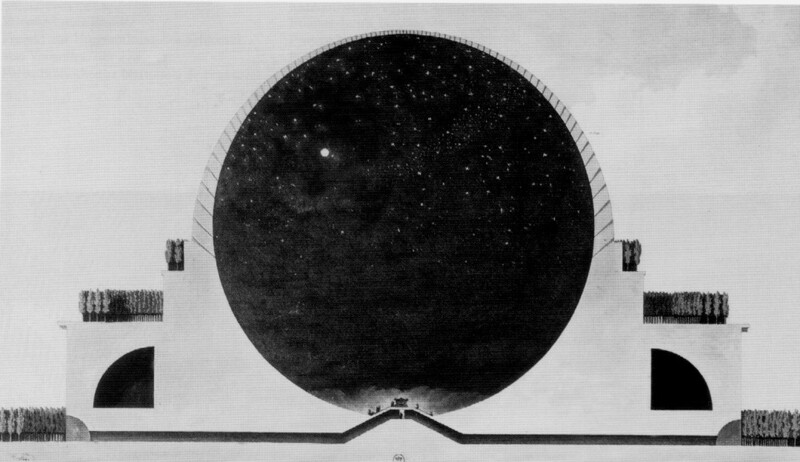 Reimagined "Cénotaphe à Newton" (1795), Interior. 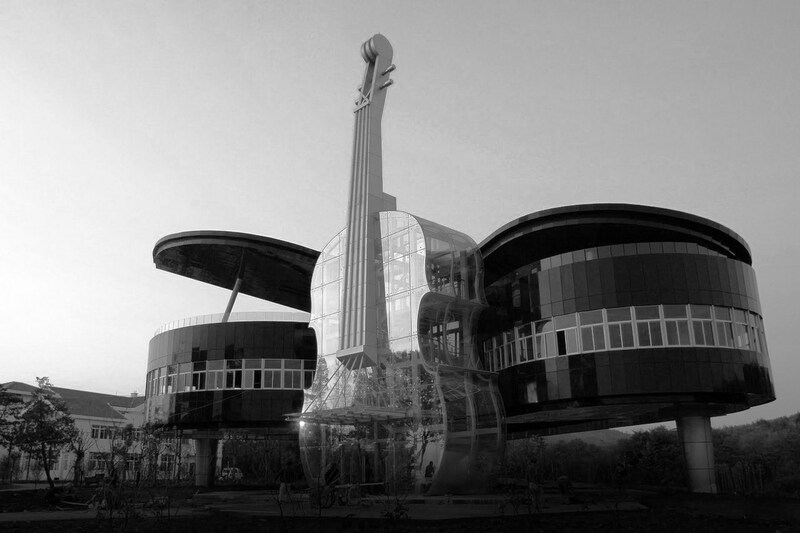 In these times when Amalgam and Confusion are 'required', Architecture is no exception. We are heading towards the/an Apotheosis. Such as a deep new (dis)order? False guarantors of the ultimate Purity. We will more and more 'Pretext', and Pretend to, Intelligence by (second rate) Mixing Genres. We will desperately 'Use and Abuse' of Technology. All this, in an useless entanglement of True/Bad ideas. with mediocrity. Meanwhile, the (seem to be) Mediocre will still aspire indefinitely to Celebrity. A Vicious/Virtuous Circle where all are involved: Famous Schools, Great Clients, Influential Critics, Powerful Politics, Ordinary Citizens,... All, except us. Victims, Executioners, Charlatans and Sufferers, in a kind of an Ambiguous even Sadomasochistic logic.